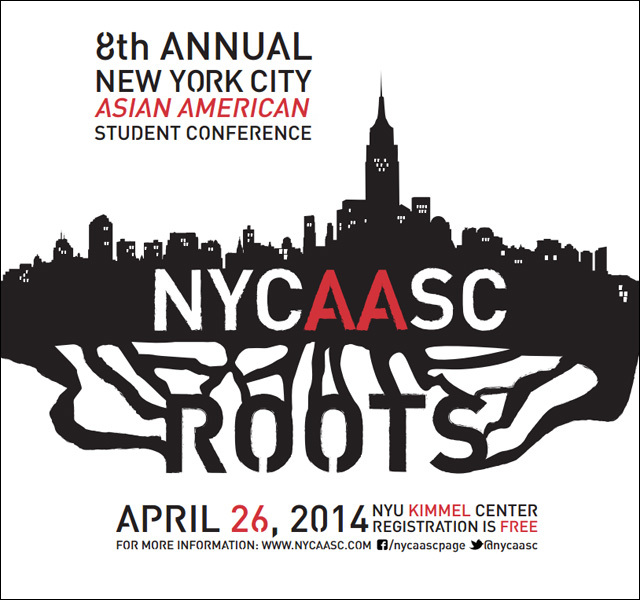 The New York City Asian American Student Conference (NYCAASC) is a free, all-day, student-run conference on Saturday, April 26th, bringing together youth in the metropolitan area and providing a space to discuss racial and sociopolitical matters pertaining Asian/Pacific/America through a series of inspiring and empowering workshops. + MC JIN, a hip-hop artist, television host, and actor, will speaking and leading us into the day of the conference! Do you want to take part in helping make NYCAASC successful? Sign up to volunteer for the day of the conference! You get a free t-shirt, free food, and a chance to know what it’s like to be part of one of the largest East Coast Asian American conferences! The conference is free, so what are you waiting for? Click here to register, and to see the full schedule and other information.